Added topic Problem with loading MQL5 website when antivirus is switched on! where are your live accounts running with your products to verify backtesting results? Due to coming holidays i decided to decrease the prices of my robots with 40% OFF. I will keep the discounted prices till 31st December, 2018. I wish you greate holidays. Due to coming BLACK FRIDAY promotion i decided to decrease the prices of my robots with 50% OFF. I will keep the discounted priced till 30th November, 2018. The FREE version of Asian Scalper. It is an advanced Asian session scalper. The FREE version supports only 3 currency pairs while the FULL version supports up to 9 currency pairs. Supported pairs: GBPUSD, GBPCAD, EURGBP (FULL version supports also: GBPCHF, EURCAD, EURCHF, USDJPY, USDCHF, USDCAD). 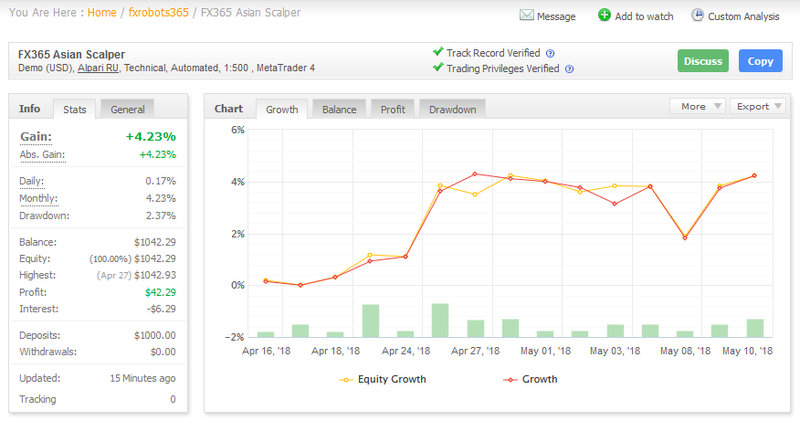 New version of Asian Scalper is available! A new parameter called DST (abbreviated from Daylight Saving Time) is added in the robot settings. The new parameter will let configuring the GMT offset of the brokers more precisely. If the broker changes its GMT offset at the end of March with +1 and with -1 at the end of October then DST must be set TRUE. If the broker has one same GMT offset during whole year then the DST must be set FALSE. This is a very important parameter! Please set it correctly. 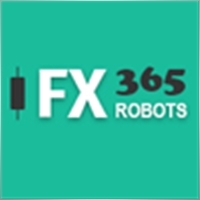 Asian Scalper is an automated Forex robot. It is an advanced Asian session scalper which supports 9 currency pairs. The robot is equipped with Money Management, Take Profit, Stop Loss, Broker Protections, Slippage Protection, Max Spread Protection, Loss Recovery System and so on. Supported pairs: GBPUSD, GBPCHF, GBPCAD, EURGBP, EURCAD, EURCHF, USDJPY, USDCHF, USDCAD.